This contest is now closed! THANK YOU to all the wonderful participants for your entries and for sharing your beautiful comments about amazing mothers! We are very appreciative of your huge love and support of South Granville. Congratulations to Jill Kenny, the winner of this contest draw! Wishing all mothers a wonderful Mother’s Day! 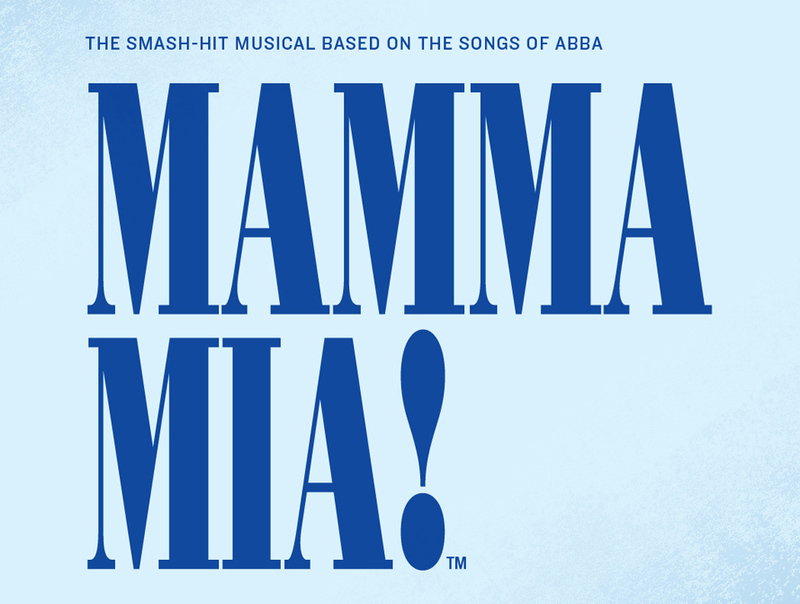 The smash-hit-musical – Mamma Mia! – at the Stanley Industrial Alliance Stage! Lunch or dinner at Fiore Restaurant! Signature Blow Dry hair service at Aveda Civello Salon! Chocolate truffle-making class at Purdys Chocolatier! 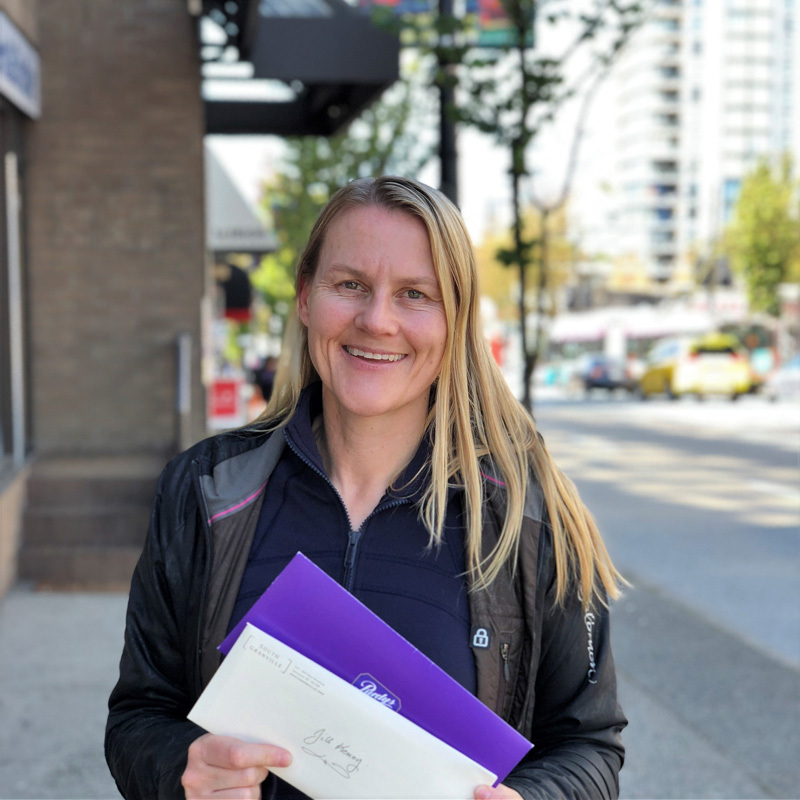 In honour of Mother’s Day – whether you’re a mother or wanting to celebrate your mother – we’re pleased to give you the opportunity to win the perfect gift of time together experiencing the vibrant neighbourhood of South Granville. Mom and her plus one (bestie, daughter, sister, grandmother, etc.) will make memories together with this incredible prize to experience live theatre, dining, pampering, and chocolate truffles! South Granville is an inviting urban village centrally located uptown along Granville Street, stretching from the south end of the Granville Street Bridge to 16th Avenue. Boasting some of the best experiences for shopping, dining, and culture in the city, you can find in your perfect style of fashion, beautify, décor, art, entertainment, and food. Come for a cooking class, relax with a beauty treatment, shop for the things you love, savour a great meal, stay longer for jazz music and live theatre! There’s always something to surprise, entertain and delight you in our charming neighbourhood. 1. Stanley Alliance Industrial Stage, South Granville – Mamma Mia! Two premium seats to Mamma Mia! at the Stanley Industrial Alliance Stage (winner and his/her guest). Valid for performances May 10–24. Not valid for Friday and Saturday evenings. Booking is allowed within two weeks prior to performance and is subject to availability. Approximate value: $164.00. Mamma Mia! is the smash-hit musical based on the songs of ABBA. An island paradise in Greece sets the stage for the ultimate feel-good show! A daughter’s quest to find her biological father before her wedding brings together three men from her mother’s past. Who will walk her down the aisle? Will she find out before saying “I Do, I Do, I Do, I Do, I Do”? Filled with ABBA hits like “Dancing Queen,” “The Winner Takes It All,” and “S.O.S.,” this uproarious and fun-loving musical will have you dancing in your seat! Lunch or dinner for 2 people with a $100 gift card (winner and his/her guest) at Fiore Restaurant in South Granville. Reservation recommended. Approximate value: $100.00. Fiore restaurant is the newest restaurant in South Granville and focuses on simple Italian done right! Enjoy hand-crafted pasta and sourdough thin crust pizza paired with a traditional Italian cocktail or a glass of Italian wine. Open for lunch and dinner Tuesday – Sunday. Located close to the Stanley Theatre. A Signature Civello Blow Dry experience for 2 people (winner and his/her guest) at the Aveda Civello Salon in South Granville. Appointment required. Approximate value: $100.00. The Signature Civello Blow Dry experience begins with a stress-relieving massage for the scalp and shoulder – a calming wellness experience that releases tension, followed by a head spa shampoo. The finishing touch is a blow dry of choice for styling (flat or curling iron not included). The relaxing experience is ideal to start the day, before a big event, or to prep for a night out. Located next to the Stanley Theatre. 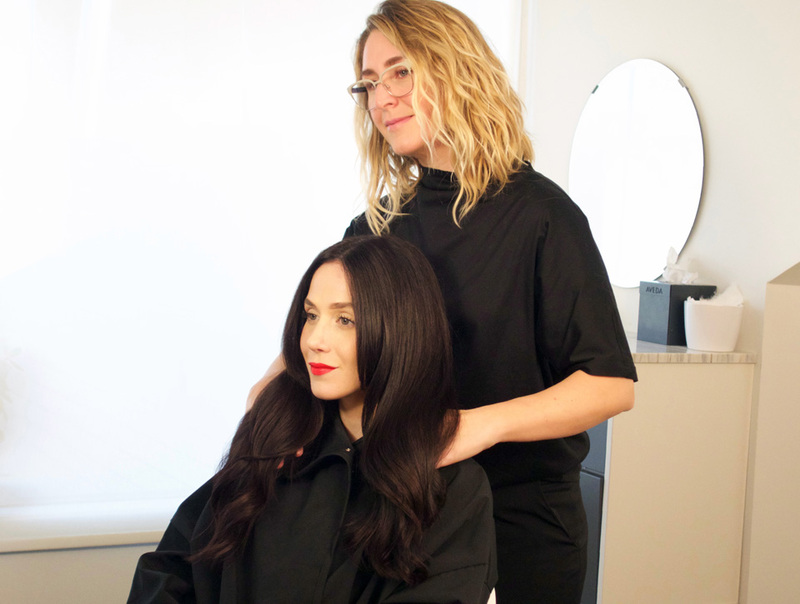 Civello Salon is an AVEDA lifestyle luxury hair destination & experience — offering hair cut, colour, styling, glossing, makeup & beauty services. A Truffle-Making experience for 2 people (winner and his/her guest) in a scheduled group class at Purdys Chocolatier on Granville Street. Class booking required. Approximate value: $105.00. 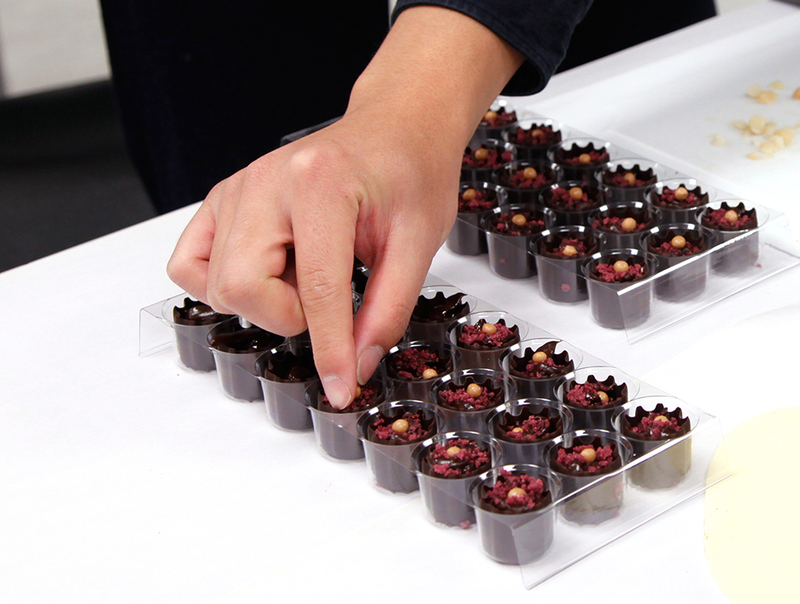 At Purdys Chocolatier in South Granville, learn how you can make your own decedent chocolate truffles with your choice of flavourings, liqueurs and toppings for a unique and delicious treat! Best thing about it is you get to take what you make home. Purdys Chocolatier has been Canada’s Chocolatier since 1907, with the South Granville location shop serving the neighbourhood for the last 110 years. Please see below for the Contest Rules and to learn how to enter. The South Granville Mother’s Day Contest is an online contest. There are three methods to enter online, namely through Facebook, Instagram and the South Granville BIA website. Eligible participants may enter in any or all three methods; however, only one entry is allowed for each method by the participant. No purchase is required. 2) COMMENT by telling us why you want to win the prize and who you would share it with. 3) COMMENT by telling us why you want to win the prize and tag 3 friends. Complete the required information in the entry form below as one valid entry. He/she releases and agrees to hold harmless of all liability with the South Granville Business Improvement Association, contest administrator, and their respective subsidiaries and affiliates, media partners, advertising, promotional agencies and each of the foregoing entities’ directors, officers, employees, contractors and agents. The South Granville Business Improvement Association will not be held responsible for any technological malfunctions, telephone or internet interruptions and/or any late/incomplete/erroneously completed prize entries or claims. This contest is in no way sponsored, endorsed or administered by, or associated with, Facebook or Instagram. By entering, entrants release Instagram and Facebook of responsibility, and agree to Instagram’s and Facebook’s term of use. The South Granville Mother’s Day Contest (“Contest”) is brought to you by the South Granville Business Improvement Association (“SGBIA”). The Contest starts on April 20, 2018 at 12:00 pm PST and closes on April 30, 2018 at 12:00 pm PST. The Contest is open to all legal residents living in Metro Vancouver, British Columbia with a minimum age of 19 at the date of entry to the contest. No purchase is required. As detailed above, there are three different methods to enter the contest online. These are via Facebook, Instagram and a form on this contest web post. Eligible participants may enter in any or all three methods; however, only one entry is allowed for each method by the participant. Two premium seats to the musical production of Mamma MiaI at the Stanley Industrial Alliance Stage in South Granville! Booking is required and subject to restrictions and availability. Prize is provided by the Arts Club Theatre Company. Approximate value: $164.00. 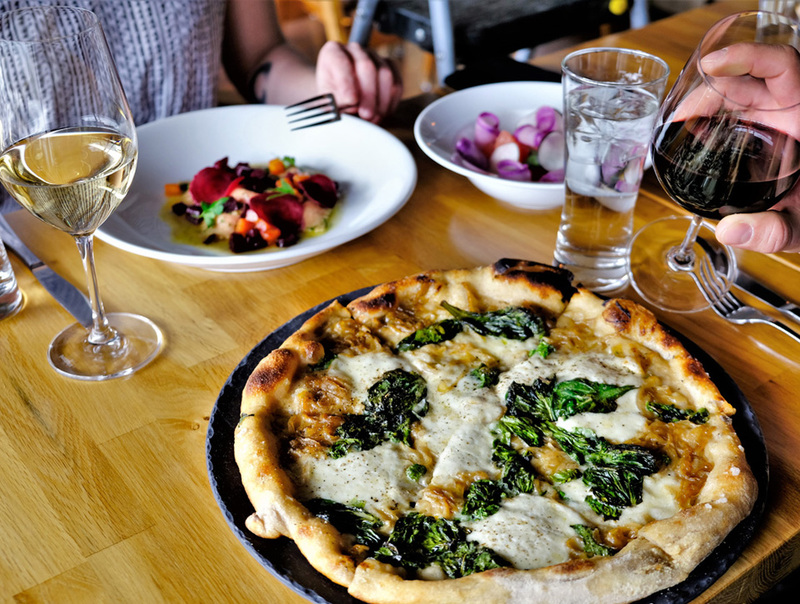 Lunch or dinner with a $100 gift card at Fiore Restaurant in South Granville. Prize is provided by Fiore Restaurant. Reservation recommended. Approximate value: $100.00. A Signature Civello Blow Dry Experience for 2 people (winner and his/her guest) at the Aveda Civello Salon in South Granville. Appointment required. Prize is provided by the Civello Salon, South Granville. Approximate value: $100.00. A Truffle-Making experience for 2 people (winner and his/her guest) in a scheduled group class at Purdys Chocolatier in South Granville. Class booking required. Prize is provided by Purdys Chocolatier. Approximate value: $105.00. The winner may redeem and use the prize components separately or combined. The Contest prize will be drawn within 12 hours after the end of the contest period. The odds of winning are dependent upon the number of eligible entries. One (1) entry will be selected in a random draw from among all eligible entries received via the three entry methods. The selected entrant will be notified via direct message on Facebook, direct message on Instagram, or by email, and will have 48 hours to reply to claim the prize. If no response is obtained within 48 hours of notification, the prize will be forfeited and may be awarded to an alternate entrant in a random draw from the remaining eligible entries. In order to be declared a winner, the selected entrant must first correctly answer an un-aided time-limited mathematical skill-testing question, to be administered by direct message on Facebook, direct message on Instagram, or by e-mail, and have his/her entry verified by the SGBIA. SGBIA reserves the right to require proof of age and jurisdiction of residence prior to awarding any prize. Unless otherwise noted, the winner will be announced on the contest post of the South Granville website, Facebook page and Instagram feed. The winner must provide a valid postal address in Metro Vancouver for prize delivery. The prize will be posted by mail within 5 days of correctly answering the mathematical skill-testing question. The SGBIA is not responsible for the prize if the mail is lost or stolen. Alternatively, the prize can be picked up if agreed upon between the winner and the SGBIA. The SGBIA is not responsible for replacing the prize if any gift vouchers or cards are lost or stolen in the winner’s possession. The contents of all entries submitted become property of the SGBIA. SGBIA reserves the right to use the contents of entry submissions provided by entrants, for editorial, advertising, marketing and promotional purposes, without further compensation or notice, unless prohibited by law. The SGBIA is not responsible for any costs associated with claiming any prize. The winner(s) is solely responsible for the reporting and payment of any and all taxes, if any, that may result in claiming a prize in this Contest. Prize(s) must be accepted as awarded with no substitutions, and is non-transferable. The SGBIA shall bear no responsibility whatsoever for injuries, losses, or damages of any kind that result from acceptance, possession and/or use of any prize. In the event any portion of this Contest is compromised by virus, bugs, non-authorized human intervention or other causes beyond the control of the SGBIA, which in the sole opinion of the SGBIA, corrupts or impairs the administration, security, fairness or proper entry into the contest, the SGBIA reserve the right, in its sole discretion, to suspend or terminate the Contest and to award Prize(s) to individual(s) selected at random from the pool of entrants received up to the point of termination. Decisions of the SGBIA are final on all matters of fact, interpretation, eligibility, procedure and fulfillment in respect to this Contest. The SGBIA reserves the right at any time to withdraw this Contest or to modify, amend, or supplement these rules, in its sole discretion. The SGBIA also reserves the right to disqualify any entrant and void any entries of an entrant who has engaged in unsportsmanlike conduct, fraud or other misconduct relative to this Contest or otherwise attempted to tamper with or impair this Contest. The winner agrees to abide by and be bound by these Contest Rules and understands that the decisions of the SGBIA are final in all respects.